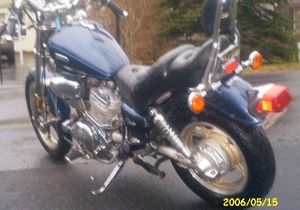 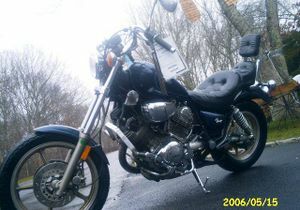 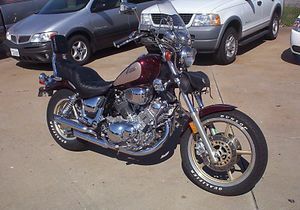 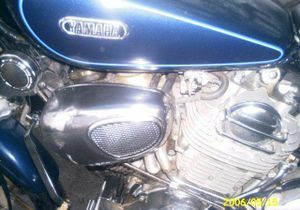 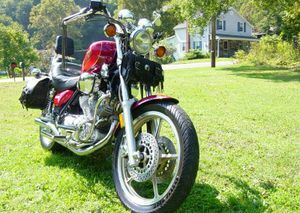 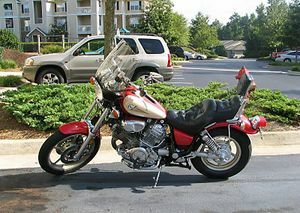 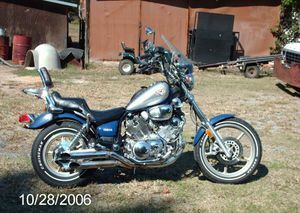 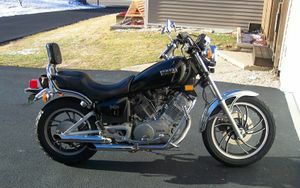 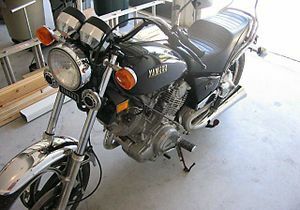 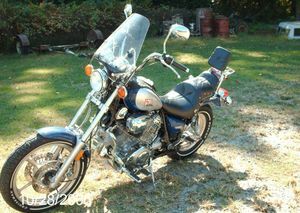 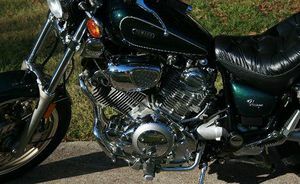 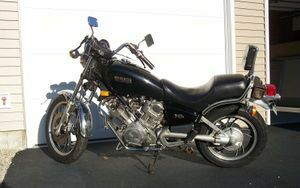 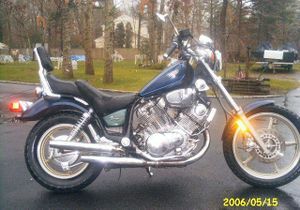 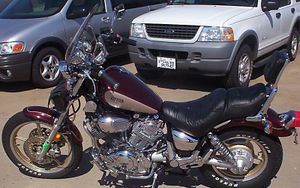 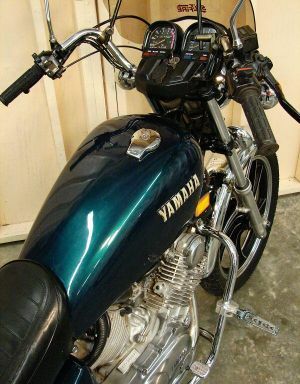 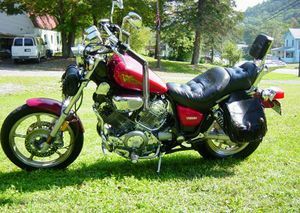 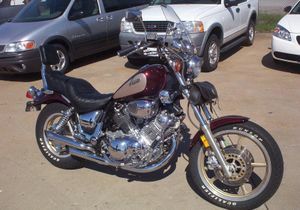 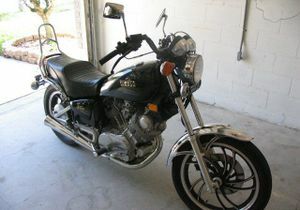 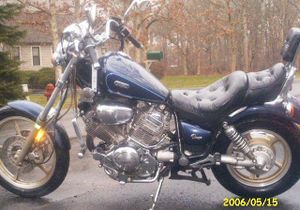 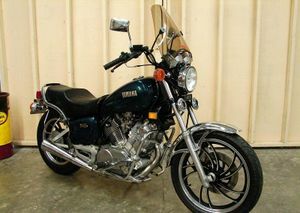 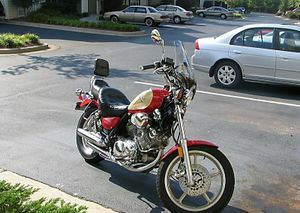 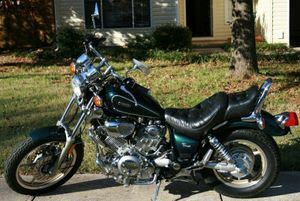 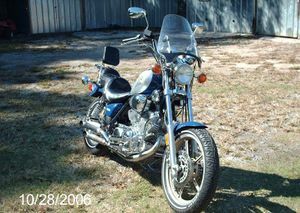 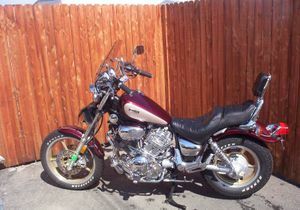 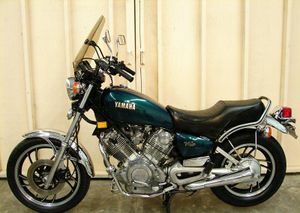 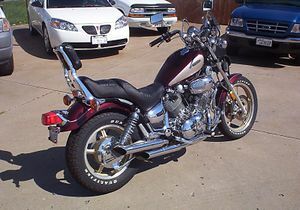 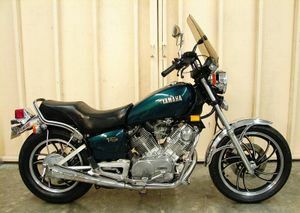 The Yamaha XV750 is a cruiser style motorcycle produced by Yamaha starting in 1981 to 1997. 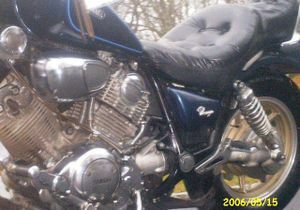 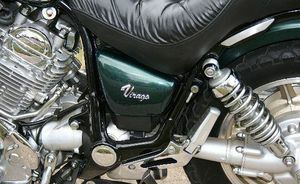 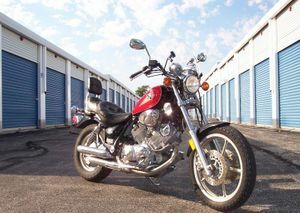 It is more commonly known as the Virago 750. 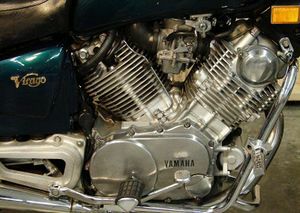 Some of the cool things about this model are: “V” 750 CC backbone engine (hangs from frame by heads with nothing underneath). 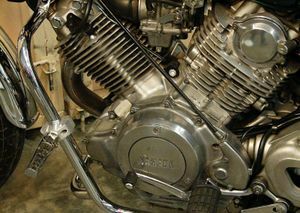 Shaft drive. 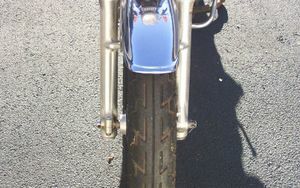 Air adjustable rear mono shock with adjustable damper. 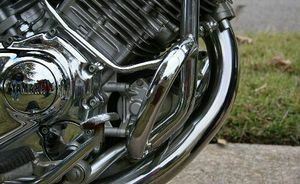 Air adjustable front forks. 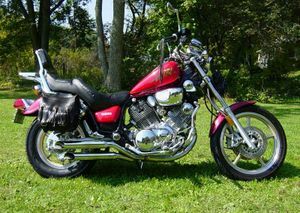 Mag wheels. 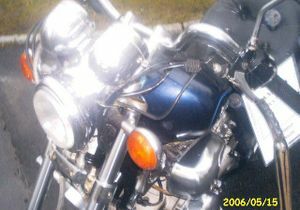 Front hydraulic disc brakes. 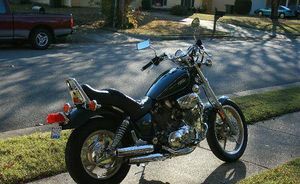 Black with chrome fenders. 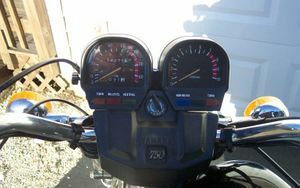 This page was last edited on 28 November 2010, at 22:52.